Cudo Miner is a multi-algorithm, feature-rich CPU and GPU miner. Earn in the cryptocurrency of your choice and get a 5000 satoshi bonus when you sign up! Whether you’re new to cryptocurrency mining or are a seasoned pro, Cudo Miner provides you with a simple-to-setup, highly profitable way to mine cryptocurrency, with features unmatched by other leading mining software. Learn about Cudo Miner features. Cudo Miner will mine multiple coins and pay you in your chosen coin such as Ethereum, Bitcoin or another currency. The multi-miner technology automatically switches its mining process between coins based on the real-time profitability of the coin, maximising returns. 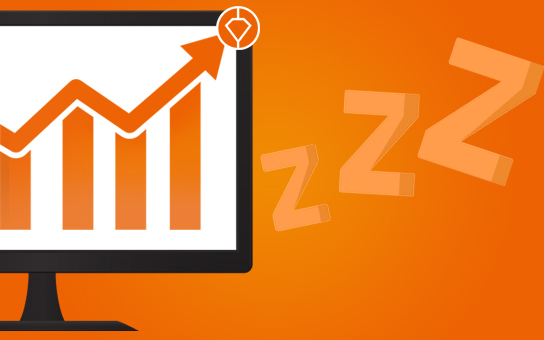 Your optimised earnings are then automatically converted to the coin you’ve selected. Let’s face it, to maximise earnings you’ll want to keep the GPU running at 100% during mining. But there may be occasions when you want to give your system a break or leave it mining while you are using it. 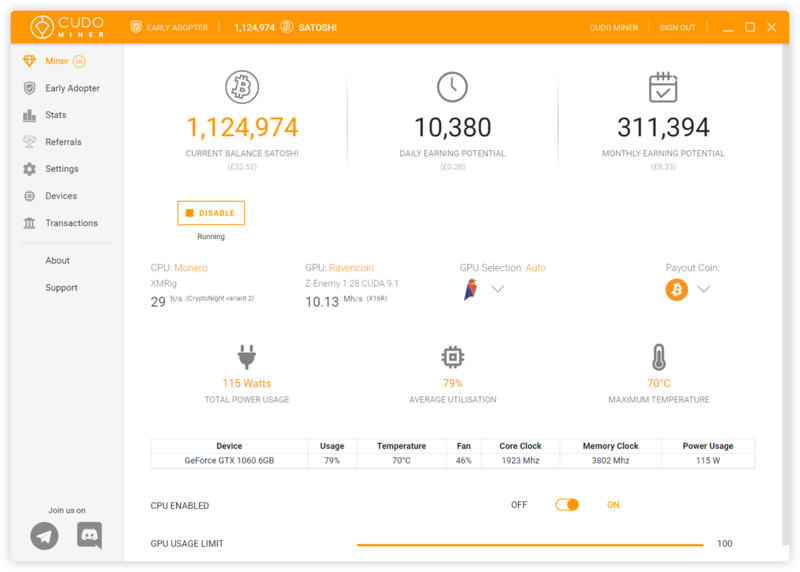 Cudo Miner is the only cryptocurrency miner that allows you to throttle the GPU usage. 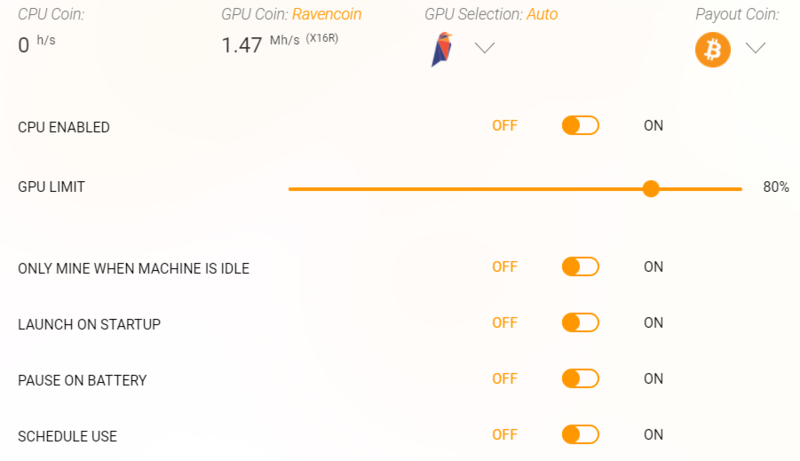 Of course, you can turn GPU mining off entirely too, but where’s the fun in that? 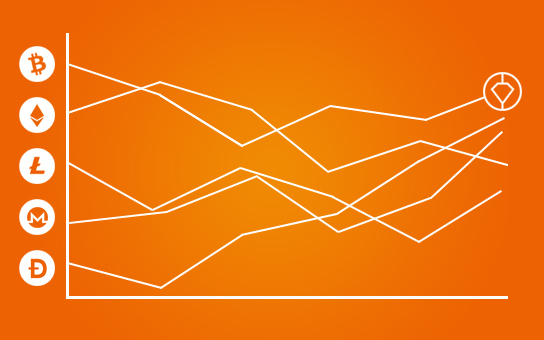 Within the software and our user portal, we’ve developed a range of analytics to help you understand your mining performance. Forecast your earnings, view historic earnings and transactions, track the number of referrals and earnings from referrals or monitor the status, health and hashrates of all your devices. If you don’t have a dedicated mining rig, chances are you’ll want to ensure mining doesn’t interfere with your computer’s performance while you’re using it. Cudo Miner sits dormant in the background on your computer and will intelligently start mining when the system is idle. Cudo Miner is built by Miners, for Miners. We believe Cudo Miner represents the pinnacle of cryptocurrency mining software. But don’t just take our word for it… start using Cudo Miner and tell us what you think! Still have a few things you’d like to clear up? Check out the following answers to questions frequently asked about Cudo Miner and cryptocurrency mining. What is the Beta Programme? Cudo Miner Beta is the first real opportunity for miners to try out the software as it nears the end of its development toward first full release. In signing up to the Beta Programme you’ll be one of the first to use the software, and we really encourage you to engage with us to tell us what’s great, and more importantly what’s not so great about the software, to help us to develop and refine its features. Once you’ve downloaded the software, make sure you sign up to our Telegram channel to tell us what you think! If you’re using a command line miner to mine a single algorithm, Cudo Miner will be more profitable over a month. Period. This is because our software automatically mines the most profitable coin rather than being fixed to one specific coin. Importantly, Cudo Miner allows you to earn in the coin of your choice, so the additional profitability doesn’t come at a compromise to what you want to earn. How can I earn from referring a friend? Loving the software and want to refer a friend? Awesome! We’ve made it super easy for you to earn by spreading the word about Cudo Miner. View our referrals page to learn all about the scheme. That’s up to you. All revenues generated will be held in your Cudo wallet until you choose to withdraw the balance and move into your own Bitcoin or Altcoin wallet. Transactions are subject to a minimum transfer amount of 0.0025 Bitcoin, and we charge 1.5% to withdraw funds. Cudo Miner is simple enough for anyone to get started with, yet has features and benefits essential to Pro miners. It’s the only miner where you can actually earn the coin of your choice while mining the other more efficient coins, so you always get the most profitable solution. As an ethical business, we will also continue to commit a percentage of our revenues to charities and to the environment cementing our vision to providing the largest distributed compute platform for good. Will Cudo Miner harm my computer? Absolutely not. Cudo Miner is a software application developed entirely in the UK. All our code is written in-house with DigiCert providing the mark of authenticity, and we use third party code auditors for security compliance. Antivirus software will typically flag up any unrecognised applications, so with Cudo Miner being new to the market you needn’t be alarmed by this. Just accept the message and the software will be allowed to continue the installation. Cudo Miner is free to download. We take a 5% mining fee to cover operational and development costs, which allows us to continually improve the software efficiency, performance and features. There is a small cryptocurrency withdraw fee of 1.5% when withdrawing to an external wallet. Do I need to leave my computer on? In order to mine, the software will need your computer to be switched on with your processors lit up and raring to go. 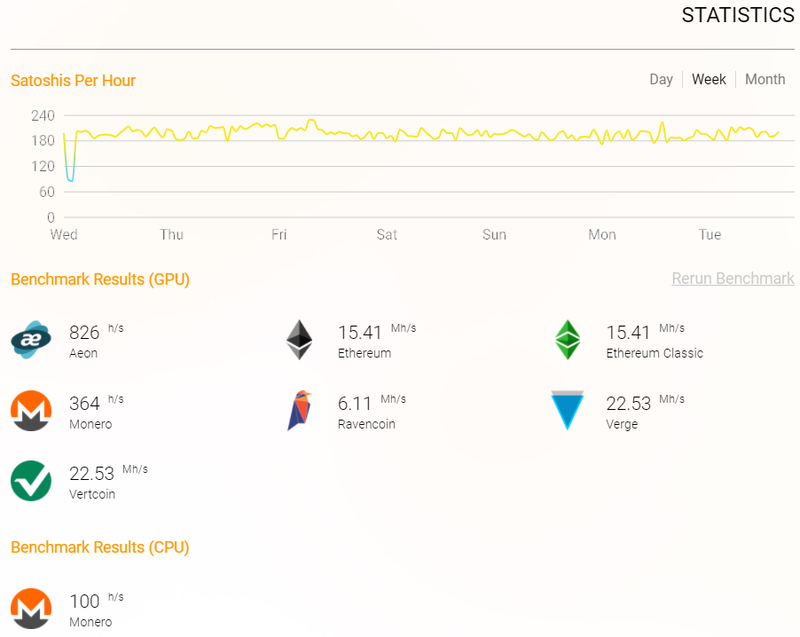 Cudo Miner gives you full control over time of day, amount of CPU/GPU used and pause whilst in use (should you also use your device for other reasons). When you start mining, your computer receives tiny amounts of data from the network, which it then performs processes on. This process is called hashing, and your computer power is used to help solve complex mathematical problems, which ultimately earns you rewards. To increase profitability, Cudo Miner will benchmark your device’s processing power and hardware to automatically select the most profitable cryptocurrency algorithm to mine. When another algorithm becomes more profitable it will automatically switch to mine that algorithm, ensuring that you always get the most revenue from your hardware. Cudo Miner is a part of Cudo Ventures, an ethical and carbon neutral software company. Our aim is to make a positive impact in the world for good and for technical change. Cudo Miner was conceived by Matt Hawkins and Duncan Cook, experienced entrepreneurs with backgrounds in IT infrastructure, Software Development and Cryptocurrency mining, with the vision of creating a more profitable and easier to use mining software for both beginner and advanced mining enthusiasts. We believe that crypto will change the world but the first step is to provide the tools and platform to make this incredible technology accessible to a larger audience. We also believe Blockchain solutions will revolutionise many industries and our aim is to use these technologies to help generate funding and support charities and good causes. We want our technology to be a sustainable and ethical solution. That’s why we’re proud to be a carbon neutral company and to support funding for charities and good causes. Cudo offsets all carbon energy used by its own mining infrastructure and the Cudo business by investing in carbon credits, which directly support projects generating active carbon reductions. These projects are only made possible by the funds from this practice. We will soon have the option to make your Miner carbon neutral or select to donate a percentage of proceeds to charity.